Sometimes interests combine with magical results. I’m not sure what’s more adorable – this incredible doll house or the labour of love behind it. Wollongong-based Lorraine Robinson is the owner of Fairy Meadow Miniatures, an online store devoted to all the things you need for a fabulous doll house. As well as an impressive range of doll houses there’s also furniture, wallpapers, carpets and an extraordinary number of accessories, right down to tiny, readable books. 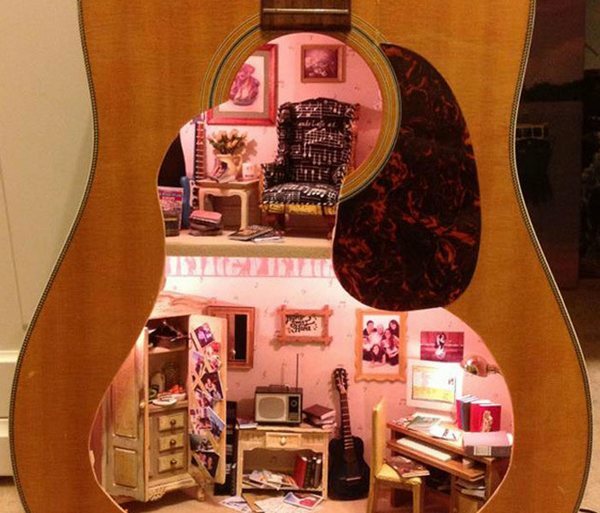 Wanting to create a unique gift for her daughter’s twenty-fifth birthday, Robinson built a doll house inside a guitar! Her daughter loves music and a doll house filled with reminders of home was fitting given that her daughter was heading off to university. 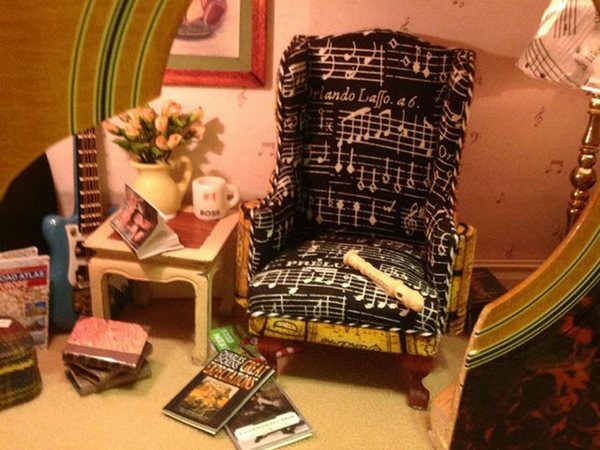 Robinson created the furniture for the doll house at a scale of one twelfth of their original size and there are musical touches in every corner of this guitar – an armchair upholstered in sheet music, tiny electric and acoustic guitars leaning against the wall, and pink wallpaper covered in musical notes. 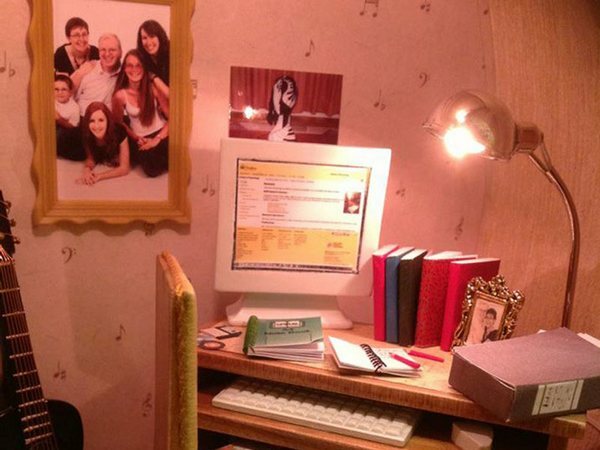 There are also sweet homely details including a tiny family portrait on the wall, an abandoned coffee mug and a stack of novels, and snapshots of friends pinned haphazardly inside the wardrobe. I think you’ll agree that it is an amazing gift. 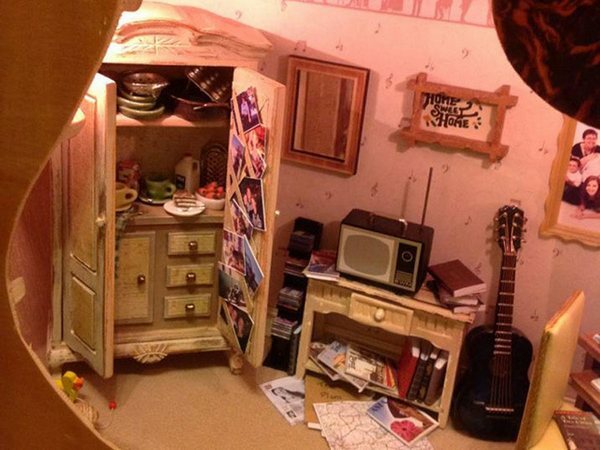 See more posts about doll houses here.